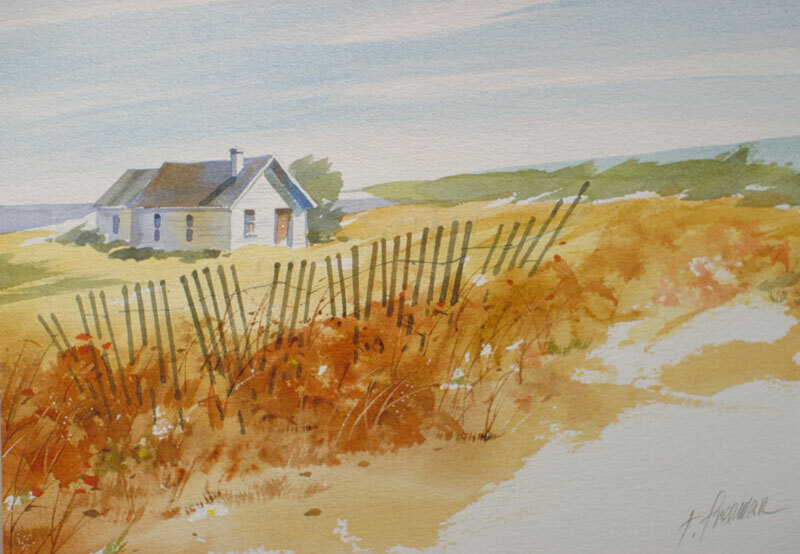 Thomas Freeman Original Watercolor Painting: "Coastal Cottage"
This scene of a solitary house on the shores of Lake Michigan is like a vignette. A little drift fence keeps the sand from blowing around and a host of weeds are growing up around it. There's a typical Midwest sky with long, streaky clouds.